Almost 4 Acres. 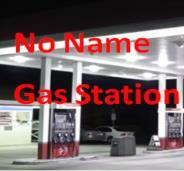 No name gas station 2 hr West From GTA . Gas Volume 2.8 M/L& Store Sales 750,000 + U-Haul 40,000 Net Profit $246,500 Cap Rate: 12.25%. Actual gas volume 1 year ago 5 M/L !!!!!! GAT Gas Station / Main intersection in Toronto Gas Station GTA Main intersection in Toronto. Gas Volume: 7 M/L . Store Sales $1,200,000Net profit $495,500. Don’t miss this opportunity! For more information call today! !